Between the ages of 40 - 60 women undergo a change of life as their fertility declines and their monthly cycles stop. This natural cycle of life manifests differently for all women. Besides the physical changes, women also may find themselves going through life changes. This may include new interests and a new direction or purpose in life. This time can be challenging yet positive and enlivening. I want to give voice to the powerful and positive transition that can happen during this time. This article, however, is more focused on the physical changes that some women experience and how to assess these changes individually from a traditional herbal perspective. I’ll be drawing mainly on a differential diagnosis from Traditional Chinese Medicine (TCM), however my goal is that those with no understanding of TCM will walk away better understanding the nuances involved during this change of life. My overall goal is to help people move away from treating symptoms to addressing patterns and underlying imbalances. Let’s begin by defining a few terms. The term menopause is often used in common language to describe many years of this transformative experience. The term menopause literally means the stopping of the monthly cycles. Thus menopause refers to a particular moment in time, the last menstrual cycle. Menopause is officially declared one year after the menstrual cycle has stopped. Perimenopause refers to the years leading up to the last menstrual cycle. Some women experience more noticeable changes during this time including erratic menstrual cycles, fatigue, hot flashes etc. Post menopause refers to the time after the last menstrual cycle and is declared a year after the last cycle. In Japan these peri-menopausal years are referred to as konenki translated as the “renewal years.” I think the english language could certainly use some better terminology for this transition. For this article I’ll use the term menopause as it is used colloquially. In recent years a lot of sensitivity has gone into reframing menopause, not as a disease, but as a natural process. “Hallelujah!” say many women as this is obviously important to recognize. However it is just as important to recognize that the severe symptoms that some women experience during this time should not be ignored or dismissed because it’s “natural”. We understand that menses is a normal cycle for most woman. It’s not a disease. However, heavy bleeding, severe pain from cramping, tender breasts and mood swings are not “natural”. These are symptoms of dis-ease and should be addressed. The same is true for perimenopausal symptoms. The cessation of menses is normal. Excessive menstrual flow, hot flashes and night sweats, mood swings, hair loss, insomnia, fatigue and irritability are not “natural”. Instead they are symptoms of an underlying imbalance and should be addressed. This article was originally published in the Plant Healer Magazine. This quarterly pdf publication continues to amaze me with its incredible diversity and depth of information. 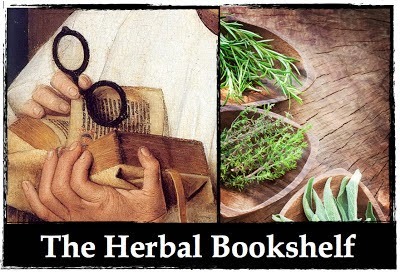 If you love herbalism, you'll want to subscribe today! In the western world many women experience the following during this time of transition: hot flashes, erratic menstrual cycles (both in length of cycle and length and flow of bleeding), lowered libido, increased headaches, dryness (notably dry vaginal tissues), insomnia, palpitations, irregular heart beat, fatigue, hair loss, bone loss, mood changes and changes in memory. The most common treatment for these in western medicine is hormone replacement therapy otherwise known as HRT. There is a lot of debate about HRT in the alternative health world, but this is beyond the scope of today’s article. Some practitioners of western herbalism approach these menopausal complaints with a western medicine mindset. 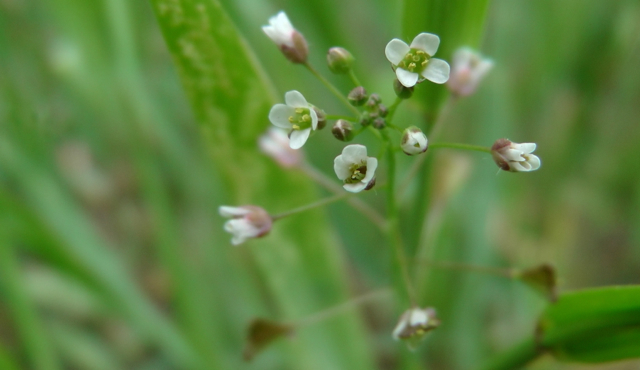 They give herbs that contain phytohormones with the goal of balancing a woman’s hormones. Black cohosh, wild yam, and vitex are mainstays of these types of protocols. There are many excellent resources for this type of approach. 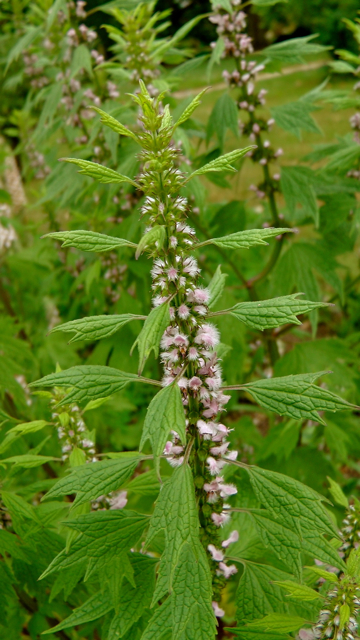 Amanda McQuade Crawford, Aviva Romm and Jillian Stansbury are herbalists who write and lecture about using herbs for their phyothormone content. This article is going to focus on evaluating the individual and assessing common patterns associated with menopausal complaints. Of course the best ways to ensuring a breezy time of transition is living a consciously healthy life well before the time of transition appears. Furthermore actively consulting with someone trained in traditional herbal medicine can help correct imbalances before they are pathologies. Traditional herbal medicine excels at recognizing imbalances before they are entirely problematic. Prevention is key and women in their 20’s and 30’s who are actively engaged in creating vibrant health for themselves will benefit from this foundation for the rest of their lives. It is often touted that other cultures have less menopausal complaints than the women in our western culture. Diet and lifestyle are frequently the reasons given for this difference and many reasons are given in a soup du jour attitude. One study claiming increased amounts of soy in the diet the reason that asian cultures have less menopausal complaints. Another study showing dietary seaweed is the reason women in other cultures have an easier transition. Another study shows that cultural perceptions are the reason. I think we will be hard pressed to find the reason. Furthermore, we hopefully realize by now that there is no one diet or lifestyle for the whole population. Approaching people individually and constitutionally from the beginning of life will help us recognize and correct imbalances easily to promote a lifetime of vibrant health. Easily half of the people I see in my herbal practice come to see me because of menopausal complaints. In this article I will cover the three most common patterns that I see. Please keep in mind that these patterns are portrayed in a very broad and general way. There are many many distinctive patterns involved with this life process and much more specific ways of looking at it through particular organ meridians. A great resource for these are Healing with the Herbs of Life by Lesley Tierra. Let’s begin with a pattern that is more excessive in nature. This is by far the easiest pattern to address! An excess pattern has many signs of true heat. Hot flashes. In particular these hot flashes are intense. Lots of heat and lots of sweating is involved. This is the person who has to change their clothes after a hot flash or change their sheets after having night sweats. Loud voice, red tongue and possibly a red face, not just red cheeks, but the whole face (important distinction). Possibly frequent headaches or headaches associated with menstruation. Excessive menstrual flow. They keep bleeding and bleeding, going through many pads and tampons in one day. This pattern often has heat in the digestive tract as well this may manifest as cold sores, mouth ulcers, sensitivity to spicy foods, ulcers, irregular bowel movements. There are two main strategies with type of pattern. First we want to use cooling therapies (herbs and lifestyle). Often referred to as eliminating and draining this include many of our bitter herbs. Secondly we want to support the adrenals using adaptogen herbs. We don’t want these to be too heating in nature. Astringent herbs can be applied for this pattern as well. 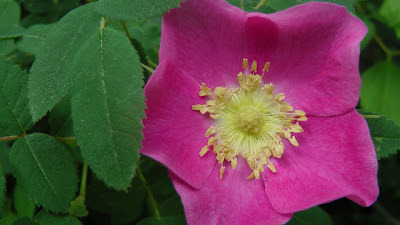 Rose (Rosa spp.) and schisandra (Schisandra chinensis) are ones that I frequently use. Deficient patterns are what I see more commonly in people I work with. This pattern is much harder to correct. In general it is always easier (in terms of duration and type of treatment) to eliminate and drain than it is to nourish and build. Deficiency patterns usually arise after many years of draining the system through bad diet, excessive stress, improper movement etc. If a menopausal woman is showing signs of deficiency after 48 years of not nourishing herself, it’s going to take some time to correct this! Lethargy, fatigue, especially from 3-5 in the afternoon. This person may start off strong and then peter out quickly. In this pattern we want to nourish and build and many times restore moisture as well. Here we are thinking about moisture building herbs (demulcents and blood builders) and adaptogen herbs. As always, diet is important to address as well. Although we all have different needs, people with deficiency patterns benefit from focusing on cooked vegetables, grains (if tolerated), organic and pastured raised meats, and warm foods. Raw fruits and vegetables are usually contraindicated along with iced drinks and fruit juices. Liver Qi stagnation is a Traditional Chinese Medicine pattern that is frequently seen in today’s populace. This pattern can be in addition to either of the patterns above. In western herbalism, liver moving herbs would be indicated, dandelion (Taraxacum officinale), calendula (Calendula officinalis), St. John’s Wort (Hypericum perforatum) etc. I have the most experience with the above formula. Most women I see during this transition have symptoms of dryness. Dry skin, dry mouth, dry hair, dry vaginal tissues (very common complaint). Dryness can manifest “false heat” symptoms. These include red cheeks or red nose, heat in the soles and palms and chest, night sweats, anxiety, dry stools, thirsty, scanty and dark urine. Using moisturizing and building herbs like shatavari (Asparagus racemosus), prepared rehmannia (Rehmannia glutinosa), marshmallow (Althea officinalis), licorice (Glycyrrhiza glabra) etc, can help to balance the moisture in the body. Likewise healthy fats and oils can be optimized in the diet. Lots of high quality olive oil and coconut oil can be added to the diet. Fish oil and evening primrose oil can be supplemented. For administering these herbs I especially like using them as powders stirred into ghee and coconut oil and if appropriate for the individual, a little honey. Decoctions also work well. For symptomatic treatment of dry vaginal tissues a vitamin E capsule can be pricked and then inserted vaginally at night, and as needed. Signs of dampness may include edema, loose stools, thick coating on tongue, swollen tongue, heavy vaginal discharge and nausea. For these women we want to remove dampness using eliminating and draining herbs such as nettle or dandelion leaf. My hope is that this article helps the reader to understand that there are no herbs for “menopause” and no herbs for “hot flashes”. Instead we want to evaluate the individual and then come up with a customized analysis (excess, deficient, stagnancy) and then a customized plan based on that analysis. In this way we work with people and we do not diagnose or treat diseases. If you would like help with your menopausal symptoms I offer personal consultations by telephone. Click here for more information.